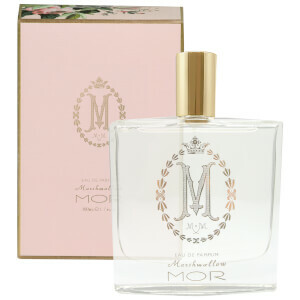 Captivate admirers with the feminine fragrance of Marshmallow Eau De Parfum from MOR. The powerful scent is longer lasting than an eau de toilette and will produce a scent that lingers throughout the day. Presented in a French crafted glass bottle. 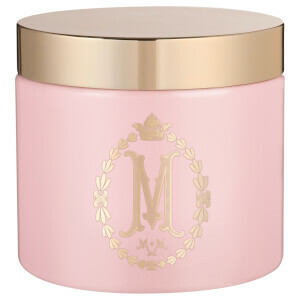 The feminine Marshmallow scent is collectively orchestrated with Jasmine Flower and Vanilla Musk, whilst Sugar Dipped Rose Petals, White Carnation and Cotton Candy form a sweet perfume. I purchased this on a whim as I hadn't tried it before. The packaging is lovely and the scent is divine. I really can't explain the scent as it's very unusual. Nice to have something different. I also purchased the matching body lotion. Received my MOR Marshmallow perfume in excellent condition,well packed and fast. I discovered this perfume in a local gift shop and I fell in love with it.Very soft,yet long lasting! This beautiful scent lingers for 6+hours on me.Its a romantic scent wich can be worn all year round but I would not wear it on hot Summer days. I was so delighted to find this perfume at Lookfantastic and for a very good price too Thank you!